Have a clutter problem? Here's how to solve them. This might seem obvious, but it is usually the one we have the most trouble with. We can’t find clothes to wear when our closet is overflowing so we buy new ones. We enjoy finding deals and sales so we store our purchases in our already crowded basement or attic until we can find a place for it. We have emotional attachments to things and we don’t want to get rid of them. 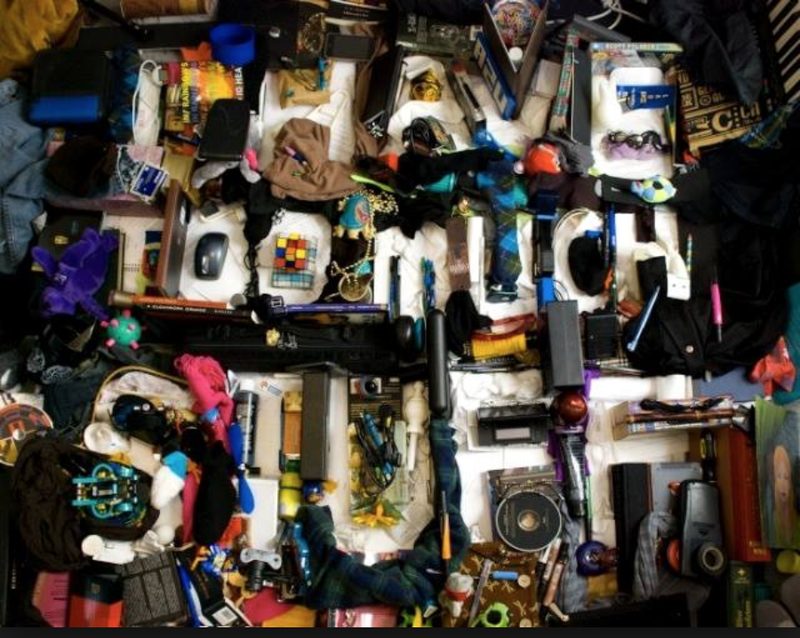 With too much stuff, you will create more clutter. While we might feel like the solution is to get containers to organize it all, it really only makes sense to do the obvious and time effective — eliminate the excess. Every time we have a change in routine, go through a stressful period of time, have a baby, lose or start a new job, experience a financial setback, move to another home, get sick, or have any other life-altering experience, clutter multiplies. Life is a series of transitions. Focus on areas that frustrate you the most every day find simple ways to get things in better order even in those crazy seasons. Walkthrough your space with a box/basket in hand and place any item that is out of place inside it. Put items back where they belong as you go! Pick one small section and focus on decluttering just that area: a bookshelf, junk drawer, linen closet. Get rid of anything you no longer need or doesn’t belong there. Then organize the rest. Designate a donation box. Scan your space for items you’d be willing to give to charity. The key is to NOT replace these items with new ones - the idea is to get rid of clutter, not trade like for like. One of the fastest ways for your space to become disorganized is you simply don’t know where to put things. When you don’t know what to do with something, you set it down anywhere. Stop and take notice when you find yourself gravitating towards cluttered areas with yet another pile of stuff. Why are you setting things down instead of putting them away? Once you identify why the problem occurs, set aside time to create a new system to solve it. Perfectionism paralyzes us. While we know we have clutter, we don’t feel equipped to deal with it perfectly so we do nothing. Maybe we don’t have the perfect organization system yet; we don’t have time to clean out the entire closet, or can’t decide what is most important to do first. You may never have enough time to clean up or reorganize an entire room at once, but try spending 15 minutes a day tackling one small area like a counter or table top. It doesn’t matter which one you start with, just start with something and make it better than it was. Scan a room in your home and visualize how you want it to look. Making a mental note of furniture and decor you definitely want and clutter you don’t want ahead of time will help streamline the decluttering process. Create to-do lists. Start with tasks that are attainable in the moment. Setting realistic goals for yourself will help keep clutter at bay. You’ll feel satisfaction every time you can cross a task off the list. Make sure everyone in the family is on board. A decluttered life is all about building daily habits for you and your family that will eliminate clutter for good. What are some reasons you have clutter problems? What could you do today to get started on a solution? Who else is involved in the cluttered space? How committed are you to changing your space?